I've been in the Easter bunny mood lately, making bunny tags for everything! 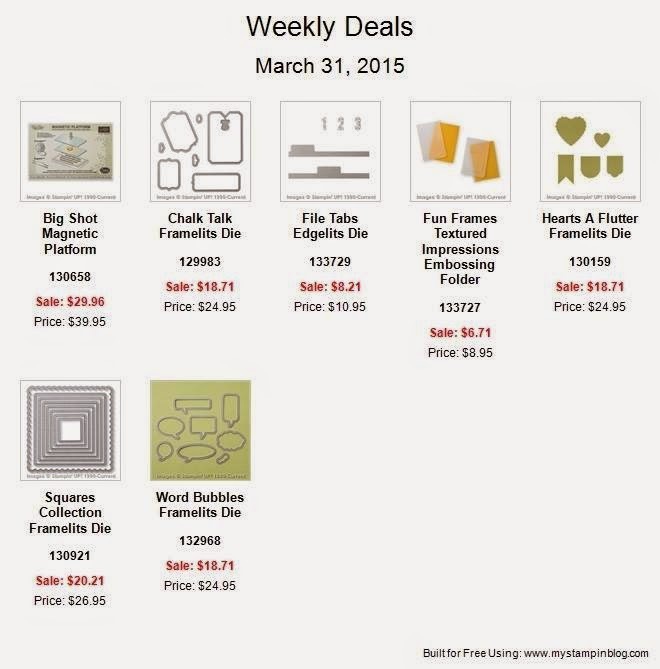 They are so easy and cute AND the Chalk Talk Framelits are on sale this week!! I love that Stampin' Up! knew I had been using them...LOL! I gave away some Sale-a-bration goodies all bagged up cute with a bunny tag. I gave away some SNAIL adhesive decorated with bunny tags. Chocolate baggies for the college kids with bunny tags...aren't they cute?? And lookie here...Chalk Talk Framelits are on sale for $18.71!! Stinking adorable, oh my word! LOVE these! TFS Becky! I just wanted to let you know, that 3 years later, I have resurrected this project. My kids are all too old to take treats to school for holidays, but I've been lucky enough to have two wonderful young ones next door, so these will be the tags on their Teacher's treats. And soon, My grandson (Yes I have one of those!) will be in school, so I can keep my crafting school treats obsession still going strong. I too left Stampin' Up! but I want you to know that I too am grateful for everything I learned from them. When I first discovered paper crafting thanks to them in 2007 I was a total novice. Now I like to think I've progressed to at least a passing artist. Thank you again for keeping up with your blog for so long! I've really enjoyed it :) Kelly (formerly know as the Weekend Stamper). Thank goodness for a new generation and a purpose for stamping! Thank you for your kind words, you made my day!